Le Sueur Nursery School is licensed by the Minnesota Department of Human Services. We adhere to standards adopted to protect the health, safety, rights and well-being of children. Our preschool program is not affiliated with any church or religious denomination. We are a Non Profit supported by a Non Profit. Academic and Social Preparation for kindergarten has been the focus of Le Sueur Nursery School’s long tradition of excellence. The school has a proven record of success achieved with a balanced curriculum that includes a hands-on approach. We utilize purposeful learning in a child centered environment. Qualified teachers lead children providing quality care and the education children need to succeed in school and life. We pride our self on establishing an environment that is nurturing and respectful. Each child will explore and learn through activities that are fun and lively and that will nurture a life long love of learning. My name is Lisa K. Ross. I am honored to be the Director and Lead Teacher at the LeSueur Nursery School. I have over 25 years of educational experience working with children and families in a variety of school and Early Childhood settings. 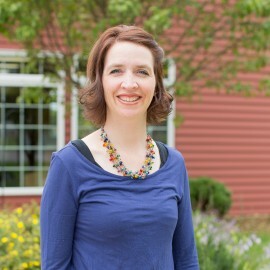 In 2018 I completed my Director’s Credential that was offered in collaboration with the Minnesota Association for the Education of Young Children (MnAEYC), is recognized by the National Association for the Education of Young Children (NAEYC), and meets all the director training requirements for NAEYC Accreditation plus many state and national director administrative training requirements. In 2013 I graduated from Rasmussen College with a degree in Business Management (including a Specialization in Early Childhood Development) This enhances my earlier education as a Child Care Specialist. Our family moved to LeSueur in December 2013. My husband Nick and I are the proud parents of five children. Our family enjoys walks to the library and exploring the LeSueur parks. We’ve got three mischievous cats named Jake,Tinkerbell and Edward. I love having the opportunity to work with children and families. As your Director and Lead Teacher I am dedicated to maintaining the quality preschool program that is established here at the LeSueur Nursery School 70 years ago. 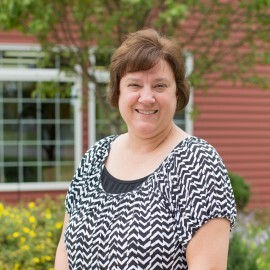 My name is Denise Traxler and I have been the Assistant Teacher at the Le Sueur Nursery School for 27 years. I am a graduate of the University of Minnesota-Waseca with an AA Degree in Child Care Service (Preschool Emphasis). My husband and I have 2 sons. I enjoy watching sports with my family, cooking, reading and going on walks to fill my leisure time.